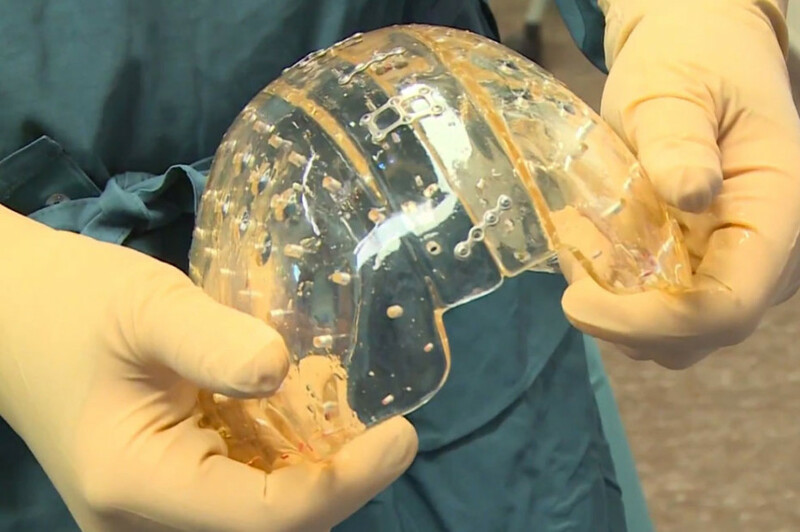 Last week I read that the UMC Utrecht implanted a 3D printed skull into a 22-year old woman, suffering from a chronic bone disorder – her skull grew inward to a thickness of 5cm – while 1.5cm is normal. They replaced the top section of her skull with the plastic implant. The hospital only went public after 3 months to make sure the patient fully recovered. And she did. Though the complicated operation took 23 hours, Dr Bon Verweij told the media the woman has her eyesight back now (which she partly lost due to the pressure), that she is back to work and that it’s not easy to see she was ever operated on. ‘We live in exciting times’ is a cliché that immediately popped into mind. When you think about it, the possibilities of 3D printing seem endless. Not many people know that Chuck Hull invented the 3D printer in 1983. At that time he coined it ‘Stereolithography-machine’ – which later became ‘rapid prototyping,’ and today is called 3D printing. The first 3D printer worked with a computerised, concentrated beam of ultraviolet light focused onto the surface of a container filled with liquid photopolymer. It works like this: wherever the beam hits the surface the photopolymer polymerises (read: crosslinks) and is turned into a solid. When the object, sitting on a plateau, is slowly being lowered, the beamer constantly creates a new, solid layer on top of the previous one. Today this process is simplified, using cartridges – just like in the 2D printer – that can carry different kinds of material to build up an object layer by layer. Being able to print different kinds of materials – even at home – in any kind of shape you can imagine with 3D software, brings us a new industrial revolution, called mass customization. The difference with the concept of mass production, introduced in the 18th century, is that Henry Ford’s famous quote “Any customer can have a car painted any color that he wants so long as it is black” will change into: “You can have it any colour you like – full stop.” What’s more, we can now add “in any shape you like.” Which obviously means that the amount of possibilities grows exponentially. As with any revolutionary technical invention, it is hard to imagine where exactly creativity will take 3D printing. We also couldn’t imagine where the very first personal computer would take us, when invented in 1964 by Pier Giorgio Peretto. To give just one of an endless list of applications: who would have guessed we could use it to compose our own music? Creative minds are already coming up with many new applications for the 3D printer, catalysing change in many different creative domains. 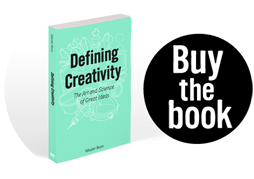 Both artistic (think of the domains of ‘jewellery’ makers, fashion designers and architects) and scientific domains. To continue with the scientific medical domain, even with today’s knowledge, we can fantasize about the possibilities. Apart from the plastic 3D skull, we can already print a variety of organic tissues today, such as lung, muscle, and a blood vessel. This means that a fully functioning organ is not too far away. Though very complicated, because you need at least 40 different cell types, the expectations are that we can already print an organ (with 40 different cartridges, as it were) in the next decade. And if we can make organs, we can almost create an entire body. But there’s more, we can even improve the human body. At Princeton University, for example, researchers already created a functional ear that has the potential to hear radio frequencies beyond normal human capacity. The researchers combined the ear tissue with electronics while it was growing in a petri dish. Integrating a mobile phone and internet in a human should also become easily possible. Which means that in a few decades a bionic man – that is more durable and advanced than ever – won’t be science fiction anymore – as Ray Kurzweil already knows for a while. Exciting times. You can think about the endless possibilities of 3D printing – in any domain. Imagine it, and make it.